I recently was on a call where a technical unit indicated they did not receive any form of documentation around the vendor database that was created. Now, seeing that I fall into the database profession it sparked my fancy. I began to ask a few questions to the individual who was asking for this documentation; these are important questions in that you have to determine if there is a need for what was running through my mind. Sure enough, the technical team, was just needing some guidance on overall structure and what they were dealing with in terms of tables, procedures, and so on. This group was trying to review and write a process around information they were not privy to. 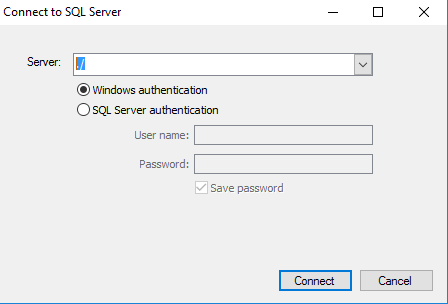 Step 1: As you open the application you will be prompted to enter a server location followed by how you’d like to connect to it (Windows or SQL authentication). In this case we’ll just hook up to a local instance I have on hand. Step 2: Once connected you’ll have some default settings. There will be a cover page option along with the databases that you want to document. The screen capture will note that under Object Types you are able to drill into and get as granular as you can. The below example will show you a snippet from a table in the TempDB and will also show that you can enter a description of what the field is utilized for in the far right hand column under Description. Give the location and file a name and BOOM; you’re done. You may find yourself in a situation where you are needing a quick hit for documentation purposes. 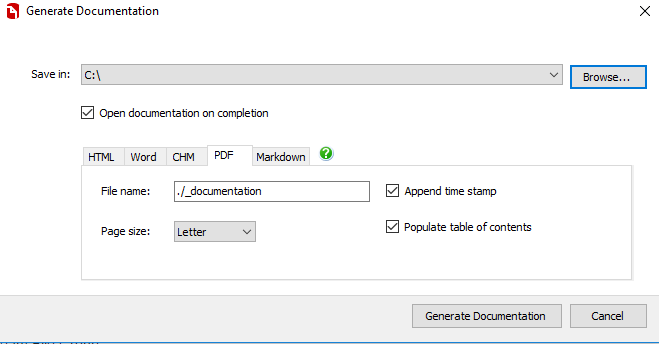 If you are an avid RedGate user and enjoy using their SQL Doc product; or maybe you had this product and didn’t even know what it was then you can benefit greatly from documenting multiple databases in a matter of minutes. This post is to show you what type of utility SQL Doc is and what it can actually be used for in a real life circumstance. In the end it was the right product and right time to use it for a technical team in need. Well done RedGate, well done. 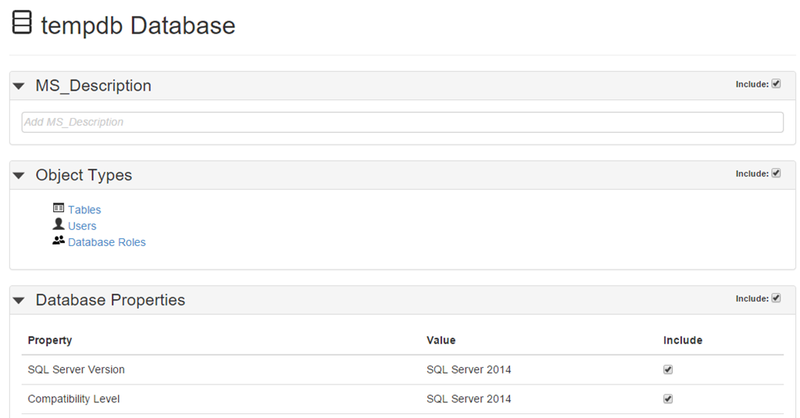 This entry was posted in RedGate, SQL Server, Uncategorized and tagged RedGate, SQLServer by Chris Yates. Bookmark the permalink.